The judging panel and choreographer for the Final of the 2013 Genée International Ballet Competition has been announced by the Royal Academy of Dance in the run up to its flagship competition, fondly known as the Genée. The Genée is one of the largest annual ballet competitions in the world and is widely recognised in the dance industry, with past winners going on to dance with some of the best companies. 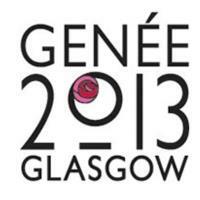 Retired Principal ballet dancer and recently appointed RAD President Darcey Bussell CBE, Royal Ballet Director Kevin O’Hare and Scottish Ballet Artistic Director Christopher Hampson will be judging the Final at this year’s Genée, to be held in Glasgow from 20-29 September in association with the Royal Conservatoire of Scotland and Scottish Ballet. Hampson has been an active supporter of the Genée since 2003 when he took on the role of the Commissioned Choreographer. The panel will select medallists from the entrants, the rising stars of ballet, who will perform variations choreographed by Royal Ballet Choreographic Apprentice Robert Binet, and also those from either 19th or 20th century classical repertoire. The entrants will have the chance to interpret new choreography from Binet, with both dancers and choreographer learning from each other. Binet’s work will be performed by both male and female competitors and will be premiered at the Final, which will take place at the Theatre Royal Glasgow on 29 September 2013. Public performances by semi-finalists will take place on 26th and 27th September at the New Athenaeum Theatre, Glasgow. The Genée attracts high levels of talent from young dancers all over the world who have passed their RAD Advanced 2 exam. The Genée gives the judges, audience and entrants alike the chance to see the new generation of ballet talent tackle fantastic and renowned choreography on an international stage in a showcase of international dance talent.